For the legal organizations and the FBI to actually make an impact on the Mafia, they need to know what really goes on in the organization and have inside information about the Dons and Caporegimes. They can always raid drug deals, illegal gambling rings, etc. and arrest the people involved. However, the Mafia will just find recruit new ones and bail out the members arrested. In order to really damage a Mafia Family, they need to get to the top and arrest the Don, Underboss and his Capos. The best way to do this is to infiltrate the Mafia Family with undercover agents. An FBI agent working undercover as a mob associate or enforcer is an incredibly dangerous job. If he were to be caught in the act of leaking out information or was the truth discovered, he would immediately executed without any remorse. He may even be tortured or riddled with bullets. Undercover agents continue to be the most important part of the FBI's fight against the Mafia. A sting orchestrated by an undercover FBI agent in Cleveland netted more than 40 corrupt cops in 1998. 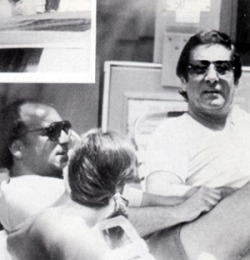 However, most of the undercover work remains a secret -- the very nature of the job means that undercover agents use assumed names and refuse to be ever photographed to hide their very existence from the public and the media and to not arouse any suspicion with the Mafia Family concerned.